After Gambia, Goa and Texas where could we go just after Christmas to provide excellent birding and guarantee a warm sunny break from the English winter? Several options spring to mind, but in the end we chose Trinidad and Tobago, as our friends Pat and Judy were also interested, having read a number of trip reports and visited the Asa Wright web site Although the birding lived up to expectations, the weather on Trinidad didn't. Flights and accommodation were booked via our local agents, Hays Travel (formerly St Andrews Travel) in Bolton, who we found to be most helpful. We chose an Elegant Resorts package, flying British Airways “World Traveler Class” from Manchester to Gatwick 06.40/07.40 and Gatwick to Tobago 10.30/17.35 (touching down in Antigua to refuel for 1hr 10min). The package included the use of the Serviceair Executive Lounge at Gatwick, making the journey a little more comfortable. Transfer from Tobago to Trinidad was on the Tobago Express at 11.00 (TB 1523) with a flight time of c20 mins . Check in time is only 45 mins, despite what the tickets and travel agents tell you. Scheduled flights at 19.00/19.30 with LIAT came with the deal and were retained for emergencies (costing c£12 each), but the late flight time did not suit as we had to check out of our hotel by noon. On our return on 28th January we departed Trinidad for Barbados on LI 374 at 12.25/14.00 touching down at Tobago for c20 mins. The onward flight from Barbados to Gatwick was 17.50/05.55 (29/1/2006) and had a flying time of c7.5 hrs and with Gatwick to Manchester at 08.45/09.45 we had a lengthy return leg! When we arrived in Barbados we were met by the Elegant Resorts rep and she provided a welcome break by taking us into the executive lounge. All flights were comfortable and although we weren't able to get “exit” seats, legroom was not a problem, even on the internal W I flights. On Tobago we had 6 nights B&B at the Coco Reef Resort with a deluxe ocean view room. Although at the south end of the island and not ideally situated for either the Rain Forest or Little Tobago, this did not present a problem and in most respects we were very comfortable. The room was spacious and clean and was as we would have expected for this type of hotel. The housekeeping staff and laundry service were good. Breakfast was excellent with numerous options for all, whilst other meals were good but expensive. Staff at breakfast tend to hover and clean the tables during the meal, as soon as any item is finished with – no doubt to foil the numerous Carib Grackles and Bananaquits scavenging on the open veranda. This almost too efficient service was in complete contrast to lunch time and general bar service where long delays were commonplace. On numerous occasions at lunchtime there were up to 6 or more bar staff waiting for orders at the bar, being serviced by only one bartender who appeared more interested in talking to her colleagues than dealing with the drinks orders. In general the bar staff were not too friendly and acted as though they were doing you a favour by serving you. Thankfully the rest of the hotel staff, especially Reception, were much better at their jobs, which they actually appeared to enjoy doing. On our last night Amanda slipped in the shower and broke her wrist – not ideal when travelling to Trinidad the next day. When we got back to the hotel, after about 3 hours at the hospital in Scarborough, a non slip bath mat had suddenly appeared in the shower and a “get well soon” message was on the bedcovers. On Trinidad we stayed at the Asa Wright Nature Centre for 6 nights full board. We booked this ourselves with the Centre's sole agent, Caligo Ventures. We dealt with Margaret Schaeffer, the President of the company, by email and phone and found her to be extremely helpful, both with general enquiries and arranging internal flights and also with arranging guided trips on Trinidad. Unfortunately, by the time we booked in September 2005, there were only 2/3 rooms left available and I think we ended up with the oldest, smallest and most tired rooms at the centre. They were however clean and reasonably comfortable, if somewhat basic and the housekeeping staff were very good. Air conditioning would have been a definite plus and made life a little more comfortable. It definitely appears to pay to book early, once you have decided to go. On the first night, having only settled into our room at the Coco Reef at 7.00pm, we dined in the hotel restaurant, Bobsters. The meal was adequate but pricy. We didn't dine there again until the last night, after returning from our visit to the hospital well after 9.00pm. 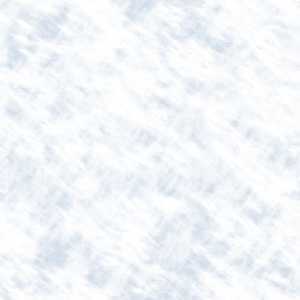 Otherwise we dined at, and can recommend, Fortune Chinese Restaurant Bon Accord, Dillon's Seafood Restaurant 639-8736 and Pelican Reef 660-8000. The latter two are walking distance from Coco Reef and booking is recommended. The Chinese was best value for money, but is a 30 min walk or short taxi ride. On our last night we had booked The Seahorse Inn at Black Rock 639-0686 as it looks and sounds excellent, but fate intervened. We had an excellent lunch at Gemma's Seafood Kitchen in Speyside – one of the best meals whilst away - and also a good lunch at Cuffie River Nature Reserve. We also had a reasonable lunch and afternoon tea at Arnos Vale Hotel whilst watching the birds being fed at 4.00pm. Service for afternoon tea was painfully slow, despite there not being too many guests. Food at Asa Wright was all inclusive and very good, mainly West Indian cuisine, but not too spicy. Also included were hot picnic lunches, with sandwiches available on request. Both guides had their own mini bus transport which was more than adequate for our party of 4. We hired a car on Tobago for our two free days via the Elegant Resorts rep and Thrifty Car Rental (Rodriguez Car Rental) +1 868 639-8057. The vehicle was air conditioned and being less than 18 months old, was in very good condition. Having decided on our destination we researched various trip reports on the internet and established which sites we would most like to visit on the islands. Newton George was recommended to us as the man for Tobago by Caligo. I contacted him by email in mid September and secured his services for 3 days (in which time he recommended he would be able to show us most of the species we would wish to see on the Island). Newton was prompt, efficient and a pleasure to bird with and, true to his word, he found the birds. He can also be contacted by phone: +1 868 754-7881 or +1 868 660-5463 or an alternate email address..
A tour of the Asa Wright grounds and trip to Dunstan Cave (Oilbirds) are included in the price for 3 nights+. In fact the only way to visit the cave now is to stay at the Centre for 3 nights, as visits to the cave are restricted to 3 per week to prevent too much disturbance to the c140 birds roosting and nesting there. 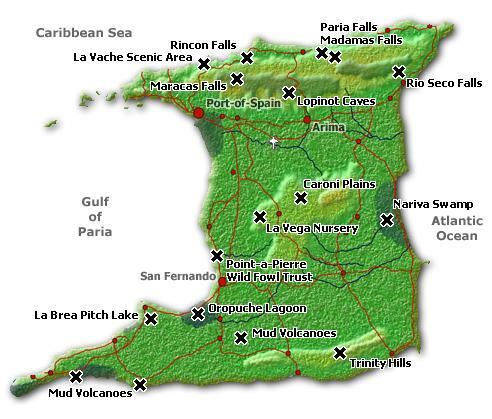 Having mapped out a possible itinerary beforehand, we booked our proposed trips on Trinidad via Caligo. We were advised approx one week prior to departure our guide would be Dave Ramlal. Dave has excellent birding ID skills, recognising the calls of most species in the field and finding the more difficult skulkers with the aid of bird calls on his MP3 player. We were effectively birding with Dave for 4 days (3 full days and 2 half days) and he handled our transfers to and from the airport. Dave can be booked direct by phone: +1 868 789-0770 or email; however he does give priority to Asa Wright and their guests. His costs are much cheaper than booking via Caligo/Asa Wright, in the region of US$100 per day, per party (seating capacity 8, but when all the gear is involved a party of 4 is best with 6 really a maximum number for comfort). In addition, Dave offers a number of other destinations not on the schedules offered by Asa Wright/Caligo. Brief info on everything for birding on the islands can be found on the Fat Birder web site. A US bird identification guide can also be useful (I always prefer Sibley). Having said this both Newton and Dave had all the necessary ID books available, although they were seldom used. Both the Ffrench and Hilty books are hefty and expensive tomes and are definitely not “Field Guides”. As generally acknowledged, the Ffrench guide is let down by the quality and quantity of the Plates, as many birds likely to be seen, are not illustrated. The region is crying out for a good “Collins” type Field Guide. Subsequently a new Field Guide to the Birds of Trinidad and Tobago (Helm Field Guides) has been published. The book, by Hayes, Kenefick and Restall - ISBN 978-0713685442, gets good reviews and covers all the species found in the area. 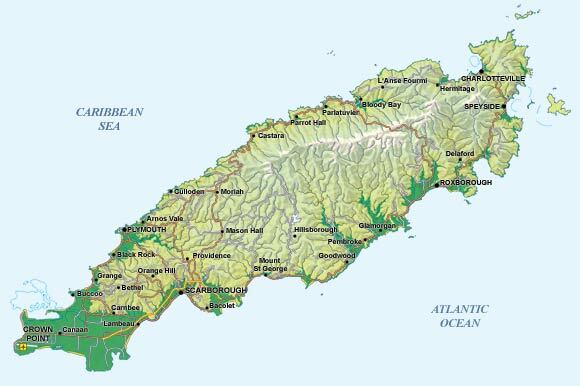 Trinidad and Tobago $ (US $ is preferred option throughout the islands). Hotels will exchange currency but we were offered c$8.5 per £ and with up to $10.5 available via the Bank's cash machines – less a small fee and exchange commission – Banks are definitely to be recommended. None required and no Malaria tablets needed. Although Yellow Fever is recommended, we were never asked for any evidence of our jabs, and at no stage appeared to be in any danger. Average daily high Port of Spain 31°C (88°F) and average daily low 21°C (70°F). Rainy season ends in December but humidity can be c80%. Tobago is usually a little cooler, windier and less humid….so we were advised by the Travel Books! See below. Temperatures on Tobago ranged up to 90°F. The days were generally hot and sunny and we had some heavy overnight showers. The trip to the Rain Forest was threatened by rain most of the day, but it held off. We did have one short heavy downpour on Little Tobago that was quite refreshing. Trinidad was quite different, being much more humid and with a lot of unseasonable rain, lasting all day in some cases. We were quite grateful for our lightweight waterproof ponchos. This was the second successive year the rainy season had not ended in December with the weather being described as more like “October” with accompanying floods. 17 Jan – Wetlands including Bon Accord Treatment Ponds, Grafton Bird Sanctuary, Hilton Ponds, Turtle Bay and Adventure Farm, Plymouth from about 7.30am to approximately 2.00pm. Cost US$45 each. Hot and sunny. 71 species plus Cayenne Tern, with 43 lifers. 18 Jan - Rain Forest including Main Ridge Reserve and Gilpin Trace. Pick up at the hotel about 6.00am & return approximately 3.30pm. Cost US$60 each. Warm and overcast following heavy overnight rain. 62 species taking trip total to 91 with 16 lifers. 19 Jan - Little Tobago Bird Sanctuary with lunch at Jemma's Seafood Kitchen, glass bottom boat, guide fees, transport and reef tour (snorkeling optional) from about 11.00am to approximately 6.00pm. Cost US$85 each. Hot and sunny with a heavy downpour on Little Tobago. 28 species adding 5 to trip total of 96 with 4 lifers. 20 Jan - Bon Accord Treatment Ponds, Pigeon Point, Arnos Vale. Hot and sunny. 47 species, birding without a guide, but no new birds. 21 Jan – Bon Accord Treatment Ponds, Buccoo Lagoon, Grafton Bird Sanctuary and Crown Point Airport Area. Hot and sunny again, also with 47 species and no new birds, leaving Tobago leg of trip with 96 species. 22 Jan – Transfer to Trinidad and Asa Wright Nature Centre. Hot and humid, but no rain. 45 species adding 21 to trip total of 117, with 18 lifers. 23 Jan - Tour of AW Grounds 8.30am – 11.00am. Hot and humid with occasional showers. 64 species with 21 new birds for the trip which were all lifers, leaving total at 138. 24 Jan - Blanchisseuse Road from 8.30am – 5.00pm with packed lunch and tea snack (swimming opportunity promised). Cost US$50 each. Rained solidly all day. We turned back after lunch and missed the swimming opportunity, but we were all wet enough. 41 species with 5 new for the trip taking total to 143. 4 lifers. 25 Jan - Nariva Swamp, Aripo Livestock Research Station and Waller Field from 8.00am – 7.30pm with packed lunch and tea snack (swimming opportunity promised). Cost US$60 each. Overcast and showery, but we managed to dodge most of the rain. 83 species with 33 new for the trip, total now 176. 27 lifers today. 26 Jan - Aripo Savannah/Arena Forest trip was actually Waller Field from 6.30am – 2.00pm with packed lunch. Cost US$50 each. Night Birding at Waller Field from 4.30pm – 9.00pm with packed dinner. Cost US$45 each. Quite hot and sunny at times with occasional cloud. 58 species with 18 new for the trip, taking total to 194. 15 lifers – would have been 17 but we only heard Masked Yellowthroat and Tropical Screech Owl. 27 Jan - Dunstan Cave tour 8.30am – 10.00am. 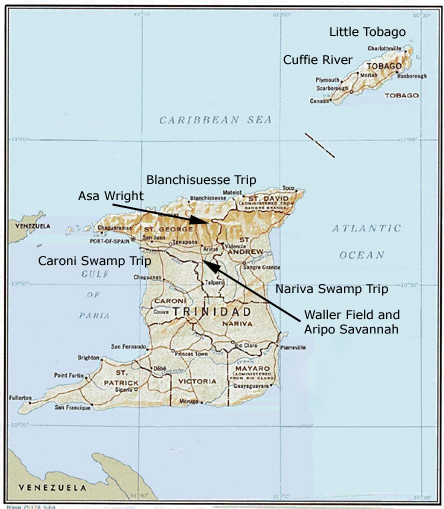 Caroni Marsh and Waterloo 10.30am – 7.30pm with picnic lunch and tea snack. Cost US$60 each plus extra US $10 each for the Waterloo extension. Sunshine and showers all day. 77 species with 14 new for the trip, taking grand total to 208. 7 lifers to give an overall total of 155, excluding the Cayenne Tern sub-species and two birds only heard. The site descriptions, maps and directions contained in Murphy's A Birdwatchers' Guide to Trinidad & Tobago remain accurate and on the assumption anyone considering a visit to the islands will purchase this book at least, no further directions are included in this report for sites covered by Murphy. We visited this area almost every day as it was only a 5 minute drive from the hotel and there was generally a good selection of birds to be seen. The works themselves are four rectangular man made ponds which are good for Black-bellied Whistling Duck, Blue-winged Teal, White-cheeked Pintail, herons and egrets. Wattled Jacana, Lesser Yellowlegs, Spotted Sandpiper and Hudsonian Whimbrel were also regulars. We spent rather more time here than Murphy suggests, both with Newton George and subsequently by ourselves. Walking along Roberts Street , beyond the 90° turn we had excellent views of two Mangrove Cuckoo, Red-crowned Woodpecker, Green-rumped Parrotlet, Caribbean Martin, Brown-crested Flycatcher, Anhinga, Yellow-crowned Night Heron and Belted Kingfisher. The Hilton Hotel and golf course has a number of man made lakes. There is also a complex of several sewage/water treatment ponds where access is generally restricted, but Newton was able to gain permission to walk around as well as access to the Rest Rooms. The entrance to the area is found by travelling along Milford Road from Crown Point, through Bon Accord and Canaan, beyond Shirvan Road and along the “new” Claude Noel Highway. Turning right off the Highway, the first ponds are visible from the main road and were good for Least Grebe, Anhinga and a fishing Osprey. The sewage ponds were the highlight with Solitary Sandpiper, Killdeer, Western Sandpiper, Spotted Sandpiper, a very photogenic Green Heron plus numerous Southern Lapwing and Black-bellied Whistling Duck. Overhead we had 2 Caribbean Martin, Short-tailed Swift and Grey-rumped Swift and on our way out of the rear of the complex, along with several Blue-black Grassquit, we had 2 male and 3 female Ring-necked Duck, very rare vagrants to the island from the USA. 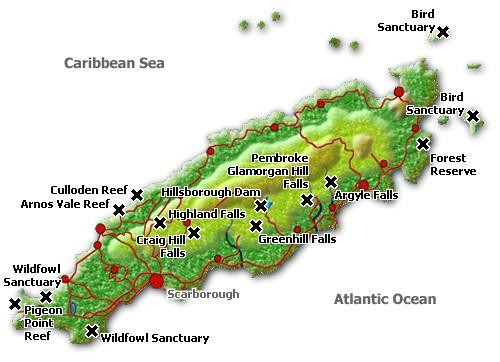 Situated between Turtle Beach and the Arnos Vale Hotel, the farm is signed on the right of the road (travelling towards Arnos Vale) and is accessed via a steep winding road with a number of sharp bends. The bird feeders are in a very intimate setting and we had stunning views of Blue-crowned Motmot, Barred Antshrike (male & female), Copper-rumped Hummingbird, White-necked Jacobin, Black-throated Mango, Ruby-topaz Hummingbird and Rufous-breasted Hermit. This was our first experience of the use of bird-feeders on the islands and although eventually you can get a little blasé, the initial impression is quite stunning. The owners also make excellent fresh fruit juice drinks. Good for seabirds but little else. We had both Royal and Sandwich Terns, including one Cayenne Tern, together with Brown Pelican, Magnificent Frigatebird and numerous Laughing Gull. We visited twice, first with Newton and subsequently under our own steam. Birds included Rufous-vented Chachalaca, Rufous-tailed Jacamar, Fuscous Flycatcher, White-fringed Antwren, Yellow-breasted Flycatcher, Ochre-bellied Flycatcher, Brown-crested Flycatcher, Scrub Greenlet and a stunning Blue-backed Manakin. Leaving the coast road at Roxborough, we stopped for breakfast on the Bloody Bay main road, once we had gained some height. We had our first views of Orange-winged Parrots here along with Broad-winged Hawk, Shiny Cowbird and, both distant and fleeting glimpses of Giant Cowbird and Great Black Hawk. Moving onwards and upwards we encountered Northern Waterthrush and our first Golden-olive Woodpecker before seeing a spectacular pair of Collared Trogon and Cocoa Woodcreeper. Within the Forest Reserve, we had been warned the track would be wet and muddy. As we parked we were approached by the local “boot hire service” being peddled from a car boot. Newton had warned us against hiring boots as long as we had sturdy footwear and didn't mind getting muddy (something to do with foot hygiene!). With hindsight, probably wrong. The path was very wet and muddy in places and was also treacherously slippery, as I found out to my cost, going base over apex and landing on my coccyx (I'm being polite). The painful memory stayed with me throughout the trip, every time I sat down. However my scope and tripod were OK, albeit a bit muddy. Bird wise we had excellent views of several Blue-backed Manakin, Yellow-legged Thrush, White-tailed Sabrewing, Rufous-breasted Wren, White-fringed Antwren, Plain Antvireo, Stripe-breasted Spinetail and stunning Red-legged Honeycreeper (male & female). Whilst watching a White-tailed Sabrewing display his tail feathers we had much better views of a pair of Great Black Hawk, shortly before seeing our first, very slender, snake pretending it was a twig. An American Redstart made a very brief appearance before I slipped. Not much bird wise other than close ups of a Great Black Hawk, flying low overhead and subsequently landing nearby. There is a primitive rest room here and enterprising locals provide refreshments. On the way down from the Lookout we saw Green-rumped Parrotlet, Red-legged Honeycreeper and Red-crowned Woodpecker feeding on nectar from the fiery orange flowering Flame/mountain immortelle trees. Further on by a small roadside stream we had our only pair of Green Kingfisher for the trip. Beautiful scenery on the way back to the hotel down the Caribbean Coast, including Englishman's Bay as well as Castara. Not much by way of birds other than our first Brown Booby and more Rufous-vented Chachalaca. Although Murphy mentions steps, he doesn't dwell on how steep the climb is to view the Red-billed Tropicbird, Brown Booby, Red-Footed Booby and Magnificent Frigatebird which are numerous here. It is possible to get really close to nesting Red-billed Tropicbird and also Audubon's Shearwater in their burrows. Again, the paths are steep and you need to be sure footed, especially if carrying scope, tripod and rucksack, along with camera and bins. We had a lone Peregrine hunting around the cliff face, adding to the predatory Frigatebirds. The boat trips to and from the island were interesting, with a slight swell on the Atlantic making for some choppy areas. On the return leg the glass bottomed boat came into its own as we passed over the well known Grooved Brain Coral, Angel Reef and the Japanese Garden Reef. Excellent beaches but not much bird activity, even at Pigeon Point. Around the hotel Black-faced Grassquit and Bare-eyed Thrush were common with a lone Sanderling and two Semipalmated Plover on the breakwater. Occasional Osprey flew overhead along with Magnificent Frigatebird, with the usual gulls, terns and pelicans on the water. Good close-ups around the feeders at 4.00pm of the usual hummingbirds, tanagers and doves, but nothing we hadn't seen elsewhere. We had good views of Stripe-breasted Spinetail and Fuscous Flycatcher as we walked along the hotel driveway, followed by three Blue-crowned Motmot as we walked back to the car. Mentioned by Murphy on pages 90-91 at the end of the Buccoo Marsh section. This area now has minimal access and limited potential – we left after 10 minutes. Moreover Buccoo Marsh is now overgrown and access looks a bit dubious. Newton advised it was not worth trying unless with a guide and it's not an area he visits any more. Another area that was disappointing other than for c20 Brown Booby on oil-drum type buoys just off-shore. We saw our only two Feral Pigeons on Tobago here. Apart from the Veranda at Asa Wright and the Dunstan Cave walk to see the Oilbirds, all birding on Trinidad was with Dave Ramlal. The Nature Centre's own guides were nearly always available on the veranda and lead the Oilbird walks. They are all very helpful and friendly, particularly Denise (who led our walk to Dunstan Cave ), Harold and Odin. Our base for the duration of our stay on Trinidad, Asa Wright certainly lives up to its billing for both the variety and proximity of the birds. The first few visits to the veranda simply blow you away. In our case 6 days was probably too long as you tend to get the same birds most days and “enough is as good as a feast”. At times, the crush of bodies trying to get the best vantage point can be a little overpowering, especially first thing in the morning and occasionally later in the day, depending on how busy the Centre is with day visitors. Having said this, we wouldn't have missed the experience, but if we return to Trinidad we will probably stay elsewhere. The list of excellent bird sightings is endless but I will keep to highlights – we saw Green and Purple Honeycreeper, Red-crowned Ant-Tanager, Blue Dacnis, Violaceous Euphonia plus 6 other Tanagers, 9 Hummingbirds, including Tufted Coquette and Little Hermit; Slaty-capped Flycatcher, Ochre-bellied Flycatcher, Olive-sided Flycatcher, Greyish Saltator, Cocoa Thrush, White-necked Thrush, Ferruginous Pygmy Owl, Common Pottoo, Oilbird, White Hawk, Blue-headed Parrot, Great Antshrike, Channel-billed Toucan, Blue-crowned Motmot, Red-rumped Woodpecker, Lineated Woodpecker, White-tailed and Violaceous Trogon, Golden-headed Manakin, White-bearded Manakin, Rufous-breasted Wren, White-flanked Antwren, Cocoa Woodcreeper, Plain Brown Woodcreeper, White-bellied Antbird, Bearded Bellbird, Plain Antvireo, Forest Elaenia, Golden-fronted Greenlet, Boat-billed Flycatcher, Grey-fronted Dove, Scaled Pigeon, Yellow Oriole, Giant Cowbird, and Golden-crowned Warbler. All this, plus tea and coffee on tap throughout the day and the 6.00 pm rum punch. Following Murphy's definition, the species seen are from along the Blanchisseuse road from Arima to the northern coast. As Asa Wright is 7.5 miles along this road from Arima, we travelled the southern section almost daily. On 24th we went north from Asa Wright towards the coast when it decided to rain all day. We had our picnic lunch at a bar owned by one of Dave's friends (with a “useable” rest room) and having been drowned for 4 hours we persuaded Dave to return to base. I think he was disappointed in us as we had passed up the opportunity to see a number of species we would not pick up elsewhere. However we did manage Channel-billed Toucan, Tropical Parula, Blue-tailed Emerald, Golden-fronted Greenlet, Tropical Peewee, Turquoise Tanager and Grey-breasted Martin. On 25th, having failed the previous day, we headed back up the Blanchisseuse Road in search of the Trinidad Piping Guan and after about an hour we were eventually rewarded with excellent views. In addition we also picked up Scaled Pigeon, Long-billed Gnatwren, Blackburnian Warbler, and Speckled Tanager before heading off to Nariva Swamp. On our various journeys south from Asa Wright on the Blanchisseuse Road we managed to pick up Striped Cuckoo, Fork-tailed Palm Swift, Euler's Flycatcher, Grey-throated Leaftosser, Trinidad Euphonia and Rufous-breasted Wren, amongst others. New birds came fast and furious here with, in quick succession, Yellow-headed Caracara, Red-breasted Blackbird, Savanna Hawk, Ruddy-breasted Seedeater, Grassland Yellow Finch, Striated Heron, Solitary Sandpiper, Least Sandpiper, Yellow-chinned Spinetail, Pied Water-Tyrant, Cocoi Heron and White-headed Marsh-Tyrant. Predictably, there were a lot of flies here but we didn't get bitten. Not many birds, but a good lunch stop with reasonable rest room facilities. The sea was quite rough and we all passed on the swimming opportunity. We saw our only Magnificent Frigatebirds on Trinidad here along with a feeding flock of c30 Southern Rough-winged Swallow. We travelled south from Manzanilla along the Mayaro Road. Birding is good along here as the road fringes the swamp. However the road is straight, with no hard shoulder and quite busy. As a result cars speed by and when stopping, it is essential you remain either immediately in front of, or behind your car. Nevertheless on this section we had Grey Hawk, Yellow-crowned Parrot, Savanna Hawk, brief glimpses of Limpkin, Cocoi Heron, Crested Caracara, Yellow-headed Caracara, Bat Falcon, Grey-headed Kite, and Short-tailed Swift. Further south we had excellent views of Yellow-rumped Cacique, American Pygmy Kingfisher and briefly, Silvered Antbird. Moving on further south, on to Kernahan Trace to the old rice fields in the area Murphy calls the Melon Patch, we had Purple Gallinule, White-headed Marsh-Tyrant, Ringed Kingfisher, Little Blue Heron and Yellow Hooded Blackbird. Waters were rising here after the previous day's rain and many of the single track roads were flooded, some for sections of a half mile or more and at times well over half the wheel depth of Dave's vehicle. Needless to say we did not linger and as a result, missed out on Pinnated Bittern in particular. We briefly visited the disused American airbase on our way back from Nariva Swamp on 25th and in the gathering gloom had good views of 5 Red-bellied Macaw, 4 Sulphury Flycatcher, Green-rumped Parrotlet and Lineated Woodpecker. On 26th we were scheduled to visit Aripo Savannah and the Arena Forest but we ended up returning to Waller Field for a more extensive search of the disused roads and runways. This area was previously not safe to bird alone as a result of criminal/drug activity: however the government have taken steps to secure the perimeter and the gates are now guarded and access strictly controlled. Even so, Asa Wright provide two security guards of their own with every party going here in the evening for Night Birding. On our second visit we had Yellow Warbler, Southern Beardless-Tyrannulet, Grey Hawk, Grey-headed Kite, Merlin on the way and, once there, Common Ground Dove, Zone-tailed Hawk, Black-crested Antshrike, Bran-coloured Flycatcher, Yellow-breasted Flycatcher, Little Cuckoo (finally in flight, after skulking and calling for 20 mins), Rufous-browed Peppershrike, Red-eyed ‘chivi' Vireo, White-winged Becard, Golden-fronted Greenlet and a posing Rufous-tailed Jacamar. We stalked a Masked Yellowthroat, calling from the grass nearby, for about 20 mins, but despite Dave's attempts to call the bird out with his MP3 player and its continuous movement in the undergrowth towards us, it eventually retreated into deeper cover. Near the Arena Forest we passed a breeding colony of Yellow-rumped Cacique shortly after a rest room stop at a bar owned by one of Dave's friends. It was just about acceptable. We returned to Asa Wright for a late lunch and to freshen up before going back to Waller Field for a spell of Night Birding. We had close-ups of c30 Black Vulture roosting on the tarmac & disused buildings and as dusk descended, one of the security guards spotted a Pink-toed Tarantula on one of the palm trees. Later we had good views of White-tailed Nightjar and Common Pauraque, both roosting on the tarmac and in flight, in the beam of Dave's lamp light. We were not as successful however with Tropical Screech Owl: despite over 60 mins MP3 playing at two different sites and numerous forays into the undergrowth, the best we had was two birds calling in response, but not willing to make a show. Around the runways there were thousands of twinkling fireflies. We arrived at Caroni at about 3.00 pm and drove down to the Visitor Centre and rest rooms, spotting several Scarlet Ibis in the mangroves at the side of the road and also Bicolored Conebill. We returned to Madoo's Tours where we had Common Ground Dove and Red-capped Cardinal. After the previous days' rains the water level was quite high and we could not board here, so we returned to the Visitor Centre where the launching facilities were much more sophisticated i.e. a proper raised deck with steps down to the water rather than a three foot long wooden ramp on the river bank. When it came to getting on board, Pat, who works for the Environment Agency and has a lot of experience with safety on small boats, insisted on life-jackets being provided. The structure of the boat appeared OK but some of the wood was clearly rotting and there was only one outboard motor, with no back-up. The life jackets were obviously available for government Health & Safety inspections (assuming some kind of certification is required by the boatmen) and were eventually produced in a large cardboard box in which they had been gathering dust in the back of the owners van. Anyway, onwards….we were joined on the boat trip by Jeff Collins and a party he was leading from Massachusetts Audubon Society (Mass Audubon), who were also staying at Asa Wright. Despite being advised Madoo's Tours had been chosen because the boatman knew his birds and where to find them, we saw little, other than the general activity of a swamp at roosting time, apart from one roosting Common Potoo in a small secluded channel, which was also visited by the two other boat tours on the water at the same time. Despite the intermittent sunshine and showers the ensuing spectacle of hundreds of herons, egrets and finally Scarlet Ibis, coming in to roost was an experience not to be missed. In addition to Least Sandpiper roosting in the mangroves, we had both Spotted and Solitary Sandpiper flying past the boat, along with the only two Greater Yellowlegs of the trip, conveniently calling as they flew overhead. Initially we were told by Caligo Ventures there was not time to fit in a trip to Waterloo. However we arranged this locally with Dave for little extra cost. The chance to pick up several new species was well worth it and, despite arriving at high tide, we were not disappointed. When we arrived, the car park of the Hindu Temple built at the end of a causeway jutting out into the Gulf of Paria, was overflowing – not with birders however. An open air cremation was in progress by the causeway. We managed to park at the northern end and walked over to the vantage point overlooking the now covered mudflats. Amongst the roosting Royal Tern we found c20 Large-billed Tern and, with the distant pelicans and herons, a Neotropic Cormorant fishing by the opposite shore. We moved on to the village of Orange Valley, as described by Murphy, to find a larger area of exposed shoreline and were rewarded with Willet, Hudsonian Whimbrel, Grey Plover, 46 Black Skimmer, Lesser Yellowlegs, Semipalmated Plover and two large flocks of Western Sandpiper and Semipalmated Sandpiper. Amongst the many roosting Laughing Gull I also found a lone Sandwich Tern; a very early migrant usually only seen in late February/March. Our rest room stop was a bar in Waterloo owned by another of Dave's friends. This one really was the pits. Sorry Dave but you need to find a new friend with a bar in this area. We finally moved around to Brickfield on the opposite side of the mudflats to Waterloo to get a closer look at the Neotropic Cormorant and found several other birds roosting along with terns, plovers and Ruddy Turnstone. Again, among the numerous roosting Laughing Gulls we were able to pick out several Lesser Black-backed Gulls. An unforgettable birding experience for both of us, despite Amanda's broken wrist. The only thing it really stopped her doing was venturing in to Dunstan Cave for a closer view of the Oilbirds, which incidentally, was quite excellent. With a Trip List of 208 species, including 155 lifers, we saw some stunning birds and regrettably the photos do not do them justice, especially the Scarlet Ibis (plus all the others which I missed). We had excellent guides in Newton George and Dave Ramlal and the people we met were very friendly. We may return in the future as there are still many new species to see; however on occasions, we were made to feel a little uncomfortable by the Afro-Caribbean element of the Trinidad population. Unemployment appears to be a problem and in Port of Spain in particular, the drug culture appears to be taking a firm hold with 33 murders from 1st to 26th January alone and kidnapping for ransom appearing to be a local pastime. Unless the government take steps to control these issues tourism could ultimately be affected.